Hello, and happy Monday! I hope you had a good weekend. 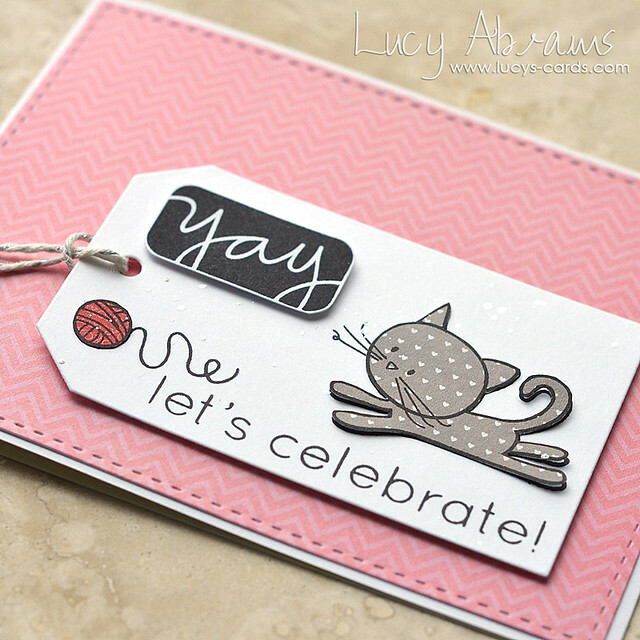 Today I have a card for you created with some Simon Says Stamp products. I've been wanting to ink up this cute kitty for AGES, and finally found the time. Isn't he adorable? I used patterned papers from Pebbles Special Delivery Girl pad, and added sentiments from the Sparkle and Shine stamp set. OK - that's all for today, I hope you have a lovely day! Such a cute and simple card...love those kind. I like how you paper pieced the kitty. 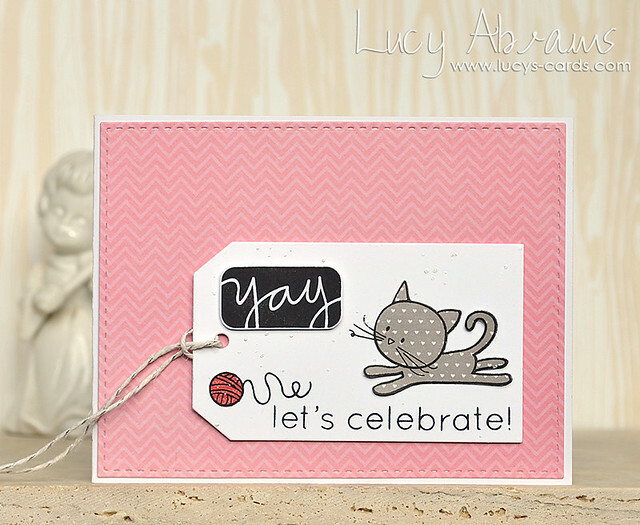 That heart polka dotted kitty is just adorable! Adorable...your a patterned paper genius. Darling card! Love the layout. You Make Me Happy and a giveaway!